As I mentioned in my National coverage [Part III: Photos], ultra-slick turn-out for saddleseat involves taping the ends of one’s gloves to one’s wrists. In addition, the tops of one’s jodhpur boots are taped closed to keep the extra leather from making unsightly lines in the leg of one’s pants. The fit of my boots is such that I hadn’t been required to do this before. However, this was Nationals and all stops were pulled out. When one is trying to get undressed quickly in preparation for heading off to lunch, it is sometimes difficult to undo several turns of electrical tape. Much easier to pull the gloves/boots out from under. 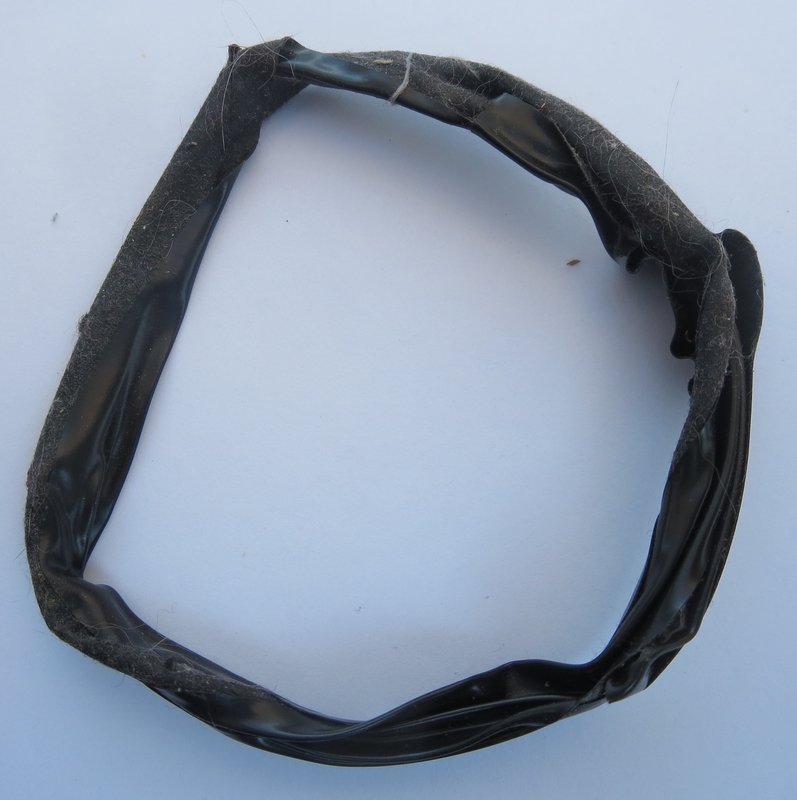 This leaves one with a bracelet or anklet of black plastic. I spent most of Nationals weekend with such objects ornamenting my various limbs. You may recall that I had to dress 5 times x 4 body parts = 20 opportunities to be unable to wrestle my way out of the tape. One of the anklets followed me home. 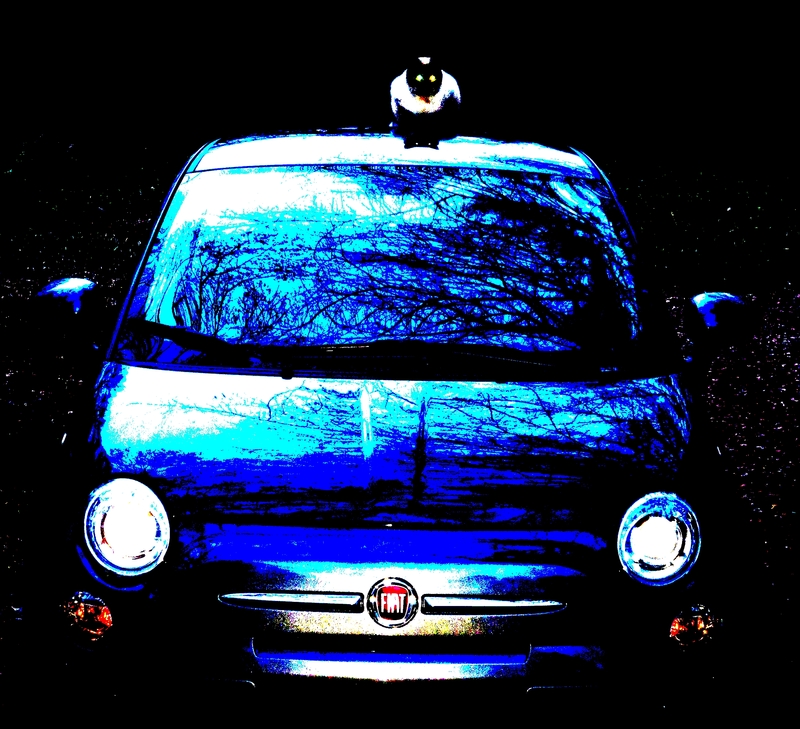 Love the gratuitous cat & Fiat 500 pic. Merry Christmas to you & the herd!